(From left) Lily Collins, Adeel Akhtar and Olivia Colman star in the new “Masterpiece” version of “Les Miserables” starting Sunday on PBS (check local listings). The latest version of “Les Miserables” has something it didn’t while it was being filmed: an Oscar-winning star. Olivia Colman earned an Academy Award as best actress for “The Favourite” after completing PBS’ “Masterpiece” retelling of Victor Hugo’s classic about desperate thief Jean Valjean (now played by “The Affair’s” Dominic West) and his dogged nemesis, Inspector Javert (“Selma’s” David Oyelowo). Colman and Adeel Akhtar portray Madame and Monsieur Thenardier in the BBC co-production, also starring Lily Collins (“Mirror Mirror”) as Fantine and beginning its six-part run Sunday, April 14 (check local listings). 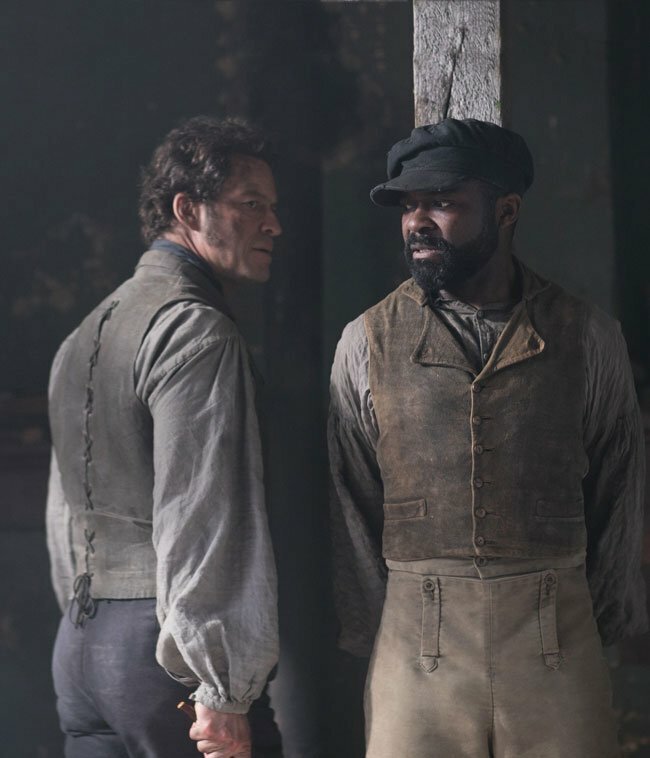 Dominic West (left) and David Oyelowo star in the new “Masterpiece” version of “Les Miserables” starting Sunday on PBS (check local listings).